There may not be a future in the manual transmission, especially under the watch of Toyota-backed transmission maker Aisin Seiki Co.’s new president Kiyotaka Ise. In a report published by Automotive News, Aisin is undergoing a transformation “into the age of software-laden, electrified mobility.” And part of their streamlining efforts is to scrape old products such as manual transmissions. With Toyota’s plans to phase out traditional internal combustion engines by 2050, Aisin is also undergoing a structural reform in order to survive. Citing how Kodak was forced to bankruptcy because it couldn’t adopt quickly to the advent of digital cameras, Ise says they will be taking on a “scrap and build policy” where if a product doesn’t have a good future, it’s a candidate for scrapping. 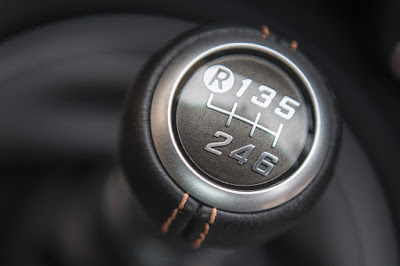 One such candidate is the manual transmission. Aisin has already consolidated the production of manual gearboxes to free up more resources and factory space to produce more automatic transmissions. Moving forward, they will continue to make automatic transmissions and CVTs by 2030 while developing powertrain products that mate with electric motors. These products include: an electric drive control unit for battery and fuel cell vehicles, an eAxle that provides electrified all-wheel drive in hybrid and electric vehicles, and a cost-competitive one-motor hybrid transmission for large hybrids.